The Makivik Corporation established the Ivakkak dogsled competition in 2001 to regrow the husky population and lift the spirits of the Inuit people. The silence of white wilderness is broken by the rhythm of paws on snow and the exhilarated cries of mushers gliding across frozen tundra. 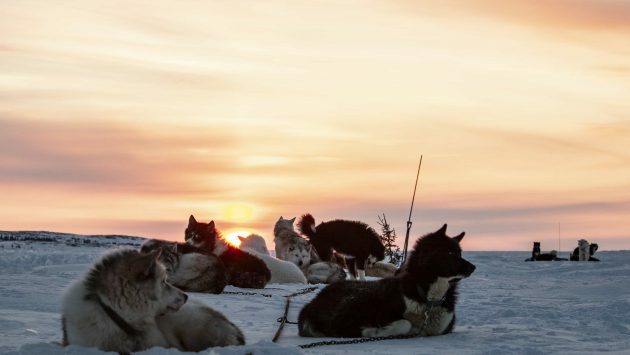 Dogsledding has been an integral part of nomadic Inuit culture for thousands of years, providing essential transportation for hunting game and moving camp during the merciless Arctic winters. 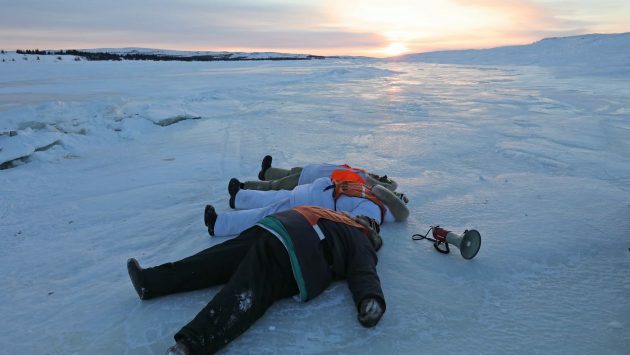 Silent for decades, those ancient sounds are now returning to Nunavik. Huskies are one of the world’s rarest and oldest purebred dogs. The qimmiit, as they are called in Inuktitut, have not only been brave allies for pulling qamutiit (sleds), but also for sniffing out seals or caribou, fighting off polar bears and navigating harsh conditions such as blinding blizzards. However, the sled-dog population dramatically declined between the 1940s and 1970s for various reasons – most troublingly, because of mass slaughter by the RCMP and Quebec provincial police. 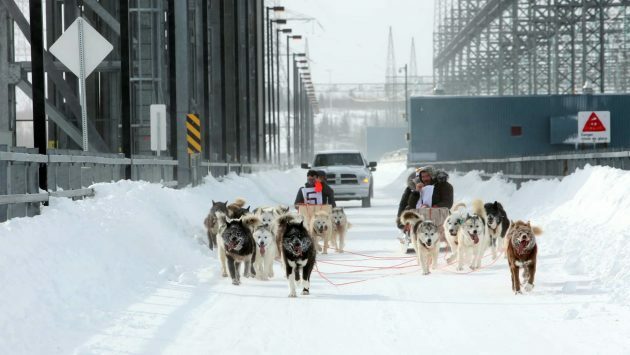 While snowmobiles have largely replaced dogsledding these days, an annual race is gradually bringing the dogs back to Nunavik. The Makivik Corporation established the Ivakkak dogsled competition in 2001 to regrow the husky population and lift the spirits of the Inuit people. This year it started earlier and further south than ever before – in the Cree community of Chisasibi. “It was decided by the Makivik executive to not leave behind our Inuit beneficiaries in Chisasibi and for this community to share the culture,” said Ivakkak Coordinator Akinisie Sivuarapik, who is also famous for her throat singing. Although located in Eeyou Istchee, Chisasibi is also the southernmost Inuit settlement, home to about 4,000 Cree and 110 Inuit citizens. Nine dog teams left February 26 from a start line just outside the community, heading north 500 kilometres along the Hudson Bay coast toward the finish line in Inukjuak. The expected nine-day duration is very weather dependent. Poor conditions already delayed the departure by a day. Severe blizzards kept the mushers on the land for 20 days last year. After each day of racing, the teams and support staff camp together along the coast, caring for their dogs and repairing equipment, sharing communal meals and discussing the day’s experiences. Meanwhile, Sivuarapik and her assistant travelled to each community ahead of the teams to make necessary preparations. The visitors were warmly welcomed with a community feast, including musicians and dancers. Elders reminisced about their own dogsledding days in Fort George and mentioned how moving it was to see these strong and healthy teams. Her video of Jacob Cain Snowball leaping onto his sled at the start of Ivakkak had over 27,000 views at press time. Many spectators braved the cold temperatures to attend the beginning of the race, including several from distant communities. The Ivakkak website (www.ivakkak.com) features extensive information about the 2019 teams and race maps, numerous photos, and even live tracking of the racers’ progress. While Ivakkak’s start in Chisasibi was successful, it wasn’t without its unique challenges. The dogs had a harder time getting a good grip travelling beside the highway, along transmission lines and crossing the LG-1 bridge. After Kuujjuaraapik, the path was expected to become smoother as the sleds could pass unimpeded along the frozen bay. Travel logistics were also more complicated than usual, although Sivuarapik credits her team and Air Inuit for being a great help. On each charter flight, nearly 50 dogs from four teams travelled in the airplanes’ cages with specialized support. Ivakkak also coordinates the delivery of supplies such as dog food, snowmobiles and sleds. Ivakkak means “when the dogs are at their best pace.” And the organization strives to ensure the wellbeing of its four-legged friends with rules that explicitly forbid animal abuse. They also have a veterinarian accompany the entire race. Only purebred Inuit husky dogs are permitted. Participating dog teams have trained considerably before the race to keep pace with the 65 to 80 kilometres they travel each day. Last year’s winners, Tasiujaq musher Willie Cain Jr. and co-musher Ken Labbé, had the fastest combined times as of press time. 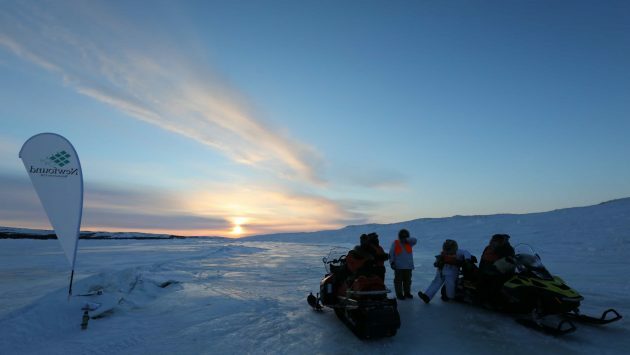 While dogsledding may never regain the prominence it once had among the Inuit and coastal Cree, Ivakkak has helped revive cultural pride and connection with traditional practices. Makivik is even planning to create a mushers’ association.